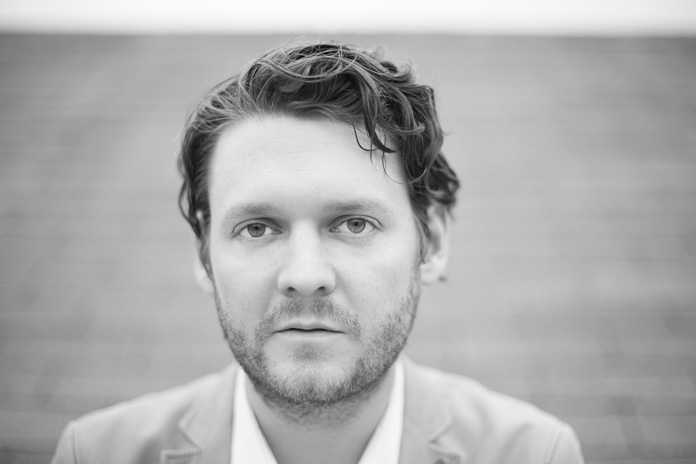 Beirut's fourth album, No No No, is perhaps the act's most self-assured to date, its florid, baroque textures enveloping frontman Zach Condon's honeyed croon. That's not to say that the journey there was one free from self-doubt and false starts. Condon suffered through bouts of exhaustion, a divorce, and crippling writer's block. The sometimes taciturn Condon says at the beginning of our conversation that he feels as though he may have given too much away in the album's bio by revealing such intimate details of his personal life, and he becomes circumspect when the topics are broached. They've at times become fodder for journalists to press him upon, leading him to admit, "I think I might have misstepped a bit, putting it all out there." After laborious sessions yielding abysmal results, Condon decided to write his songs from a different place, a near free-form subconscious level to extricate himself from his lull. "It was in between meeting someone [his now-girlfriend] and pure discipline," he says of what precipitated the sea change. "Somewhere in between the two. The interesting thing about it is that are no neat answers, obviously. I woke up one day and was sick of wallowing in my own misery. There are concrete ways you can get out of this. It doesn't just have to strike you like lightning. And that was the realization." But the album's gestation process is a fascinating one, delving into the psyche of an admittedly self-conscious individual who went through his own personal hell and emerged with a self-aware, deeply affecting collection of songs. But before he could do that, he had to shut out the albatross of internalized forces suffocating his artistic instincts. "I kind of feel like a lot of what was kicking around was 'where do I go next,' 'what am I supposed to be doing right now,' 'why isn't my life in order,' and then when this album came about, when I started working on these specific songs for the most part, it was almost like that stupid circular noise in my head just kind of stopped," he says. "At that point it happened so quickly I'm having a hard time giving interviews, because it's like, 'What were you thinking?' Well, when I was writing the songs and lyrics, I wasn't thinking. And that was the fun of it. I wasn't going, 'How are people gonna react to this, what are critics gonna say and what are fans gonna say, who's gonna turn their backs and who's gonna embrace this?' It was really like, 'This needs to stop, and I need to enjoy myself again.'" And the tracks evince a palpable joy, belying the personal strife Condon had encountered throughout the preceding years. Condon is reticent to discuss specific songs, but he says of "Perth," "It just came flowing out of me. I was actually having fun writing those lyrics. Ah, it's somewhere near an apology to myself for my own behavior." He laughs. "Just getting lost at the end of the world. That's what it felt like then." Condon expresses that he wants to leave the songs up to the interpretation of the listener, but he is adamant that this isn't a record in which he dwells on his recent past. "I was afraid it would paint everything in a terrible way," he says. "But it's a lot more about what went right in the end."